Choosing a School Cleaning Company in Miami: What to Consider | All Building Cleaning Corp. Choosing a School Cleaning Company in Miami: What to Consider | All Building Cleaning Corp.
School is back in session! While moms and dads around the country are jumping for joy and we all look forward to the weather cooling off, the crisp fall air also brings with it the dreaded flu virus. You can tell kids to wash their hands and to sneeze into their elbow all day long, but they won’t remember every time. The more you can do to deter the spread of germs, the better. When a school’s administration chooses a school cleaning company, that company should have a good working knowledge of the following information. Schools, regardless of the grades housed within, are a breeding ground for stomach bugs, colds, coughs, and especially the flu. A study done on the germiest places in schools by the National Sanitation Foundation showed that the water fountain is germier than even the toilet seats! Just after the toilet seat came a student’s hand. Understanding the different high traffic areas in a school is essential in a school cleaning company. The school cleaning company you choose can affect not only the appearance of your building but also your attendance rate. The school cleaning company you hire should employ cleaning professionals that are specially trained to clean schools. Since schools have specific needs, it is important that the people who come into your school to clean have experience and training in this particular type of commercial cleaning. For schools with younger children, the janitorial staff from your cleaning company will also need to know how to work around children, if they’re planning to work during the day. Schools have a variety of cleaning needs. There are spills on carpets, handprints on windows, science experiment explosions on the walls, and just general stickiness. If your school cleaning company cannot clean carpets, does not have window cleaning experience, or does not understand that they should look on the walls and ceiling when cleaning a big mess, they will not be able to fulfill all of your needs. You’ll have to have a separate carpet cleaning or window cleaning company. This will impact your bottom line. There is not a one-size-fits-all plan for keeping schools clean. When your school is hiring a cleaning company, they should come into your facility and take a tour, asking questions, and coming up with a tailored plan to keep your school the healthiest environment it can be. While they should listen to what you have to say about high traffic areas, and things you want the school cleaning company to take care of, they should also have suggestions for things they see as they are touring your school. School cleaning is a team effort. Teachers and staff should promote good hygiene among students (and each other!). The cleaning company and the staff should keep a clear line of communication to what areas need special attention. Many elementary children are told to wipe down their desks at the end of the day with a wipe. Teachers likely wipe down counters quickly to get pencil eraser savings, paper clippings, or crumbs off of the surface. So while a cleaning team may walk into a classroom think that it looks clean, it is— but it is probably not sanitized. Using the right cleaning tools and cleaning products, a good school cleaning company can come into a classroom that looks clean and make it actually hygienic, free of germs and viruses. Again, understanding the high traffic areas of a classroom is very important knowledge for any school cleaning company. Schools are not like offices where special events happen maybe once or twice a year. Weekly, even daily, there is something going on that will change the schedule of events for the day. 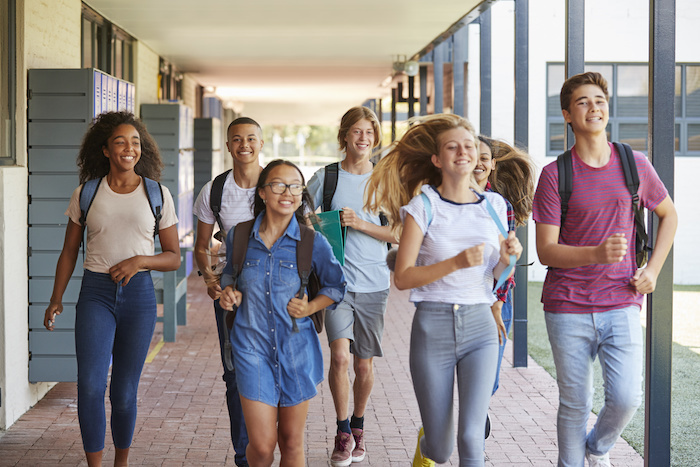 School cleaning companies need to be able to adapt their cleaning plan for these kinds of events without sacrificing the cleanliness of the school. For over twenty years, All Building Cleaning Corp has been the number one choice of Miami and surrounding areas. Our reputation precedes us when it comes to commercial cleaning, and that includes the specialized school cleaning services. We can provide your school with all the cleaning services you’ll need, including window cleaning, carpet cleaning, floor cleaning, and of course janitorial cleaning. Our number one customer service team is standing at the ready to make your appointment to go over how our school cleaning teams can keep your students and staff healthy and in attendance this school year!